Hello everyone! 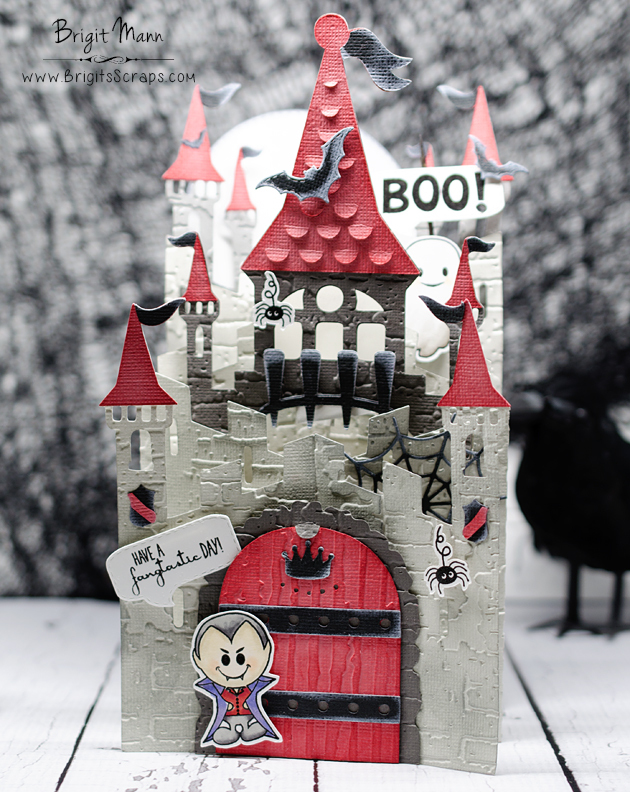 I've been wanting to make this Halloween castle card from Dreaming Tree's new bundle King of the Castle. There are three wonderful projects in this kit great for many occasions, I just love Halloween so I had to make mine up as Bran Castle. The stamps and dies are from My Creative Time, Too Cute To Spook and Wicked Fun. I used some embossing folders on the castle to create that textured look and inked it up with some distress ink. Just a fun spooky project!! So beautiful Brigit, beautiful keep up the great work!